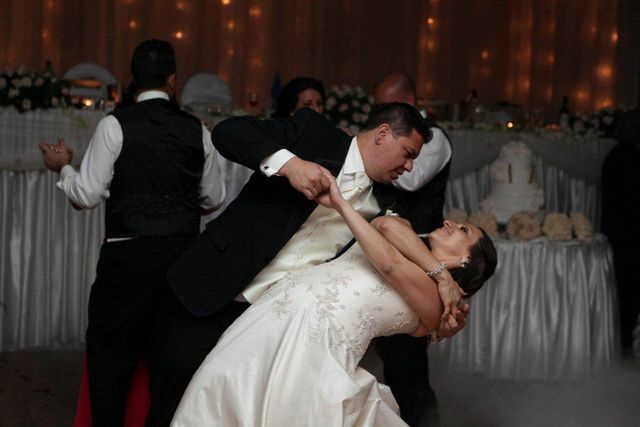 Make your Wedding night special with Passionata’s Bridal Dance Lessons. Let Passionata Dance help you learn to dance for your special night. We offer Dance lessons for Couples. At Passionata Dance we dedicate ourselves 100% to our clients in giving the best service possible at the most reasonable rates. We specialise in bridal choreography that makes you look natural and feel confident on your wedding day. Learn to Dance on your wedding day. You will receive a customised choreography according to your ability levels and the song you choose for your first dance. We will even help you choose a song if you are having trouble finding that perfect and meaningful song for your special occassion. Whether you choose to do a traditional bridal waltz to your favourite song, romantic rumba, a seductive argentine tango or a fast paced latin dance we can serve your needs and take you through the process adjusting to your needs and requirements. We also offer the option of private wedding dance lessons in the comfort and privacy of your own home. Full service, Gold package ensures that you get the best service and attention over time. Instructor will help you choose your song and choreograph a routine over the space of 8 lessons, This includes refinement and polishing of routines. Ideal for bridal couples who need the full routine service for their special wedding day. We recommend this package for couples who want to have a routine customised to their song. Our Instructor will help choose the song and polish your routine so you will feel confident on the day to improvise and follow some routine. Ideal for a smaller performance arrangements. We recommend this package to couples who want a basic ability to dance to their song with some improvisational elements. The instructor will help you get into the feeling of the dance and to be comfortable with basic steps. Ideal for basic bridal dance couples eg. father daughter dances. This single casual lesson is ideal for couples who want to learn some basic steps and improvise on the dance floor. No Time Left? Did you Leave your lessons until too late? Last minute lessons $120 (1.5 hour intensive lesson). All prices are to be paid Upfront. Unless specified by the Instructor.